GM Volkov Sergey from Russia .Champion of Russia - 2000! I won 3rd place at EURO -2008 and in 2002. Fide rating on 01.01.07 2659! I HAVE BEEN A VENDOR HERE AT ICC SINCE 2000. I offer lessons for 50 chekels an hour. I am also available for blitz and short analysis. For more information "finger Volkov" e-mail: gmvolkov@yandex.ru or message volkov on ICC. 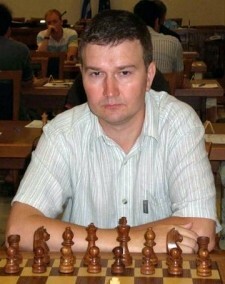 GM Volkov Sergey from Russia .Champion of Russia - 2000! I won 3rd place at EURO -2008 and in 2002. http://www.eurorijeka2010.com/home/Championships/History. Fide rating on 01.01.07 2659! I HAVE BEEN A VENDOR HERE AT ICC SINCE 2000. I offer lessons for 50 chekels an hour. I am also available for blitz and short analysis.